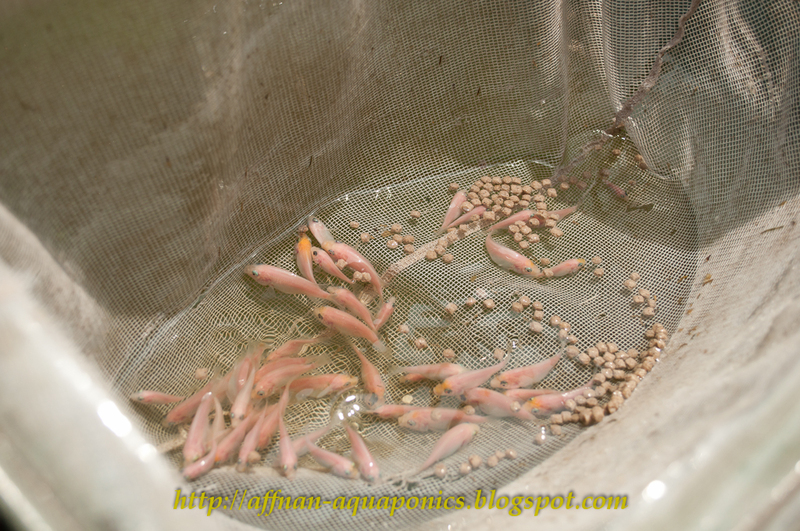 Since these fingerling already capable of surviving the main tank I decide to move them over there. I was hot really hot.. something like noon over here.. catches all the fingerling with a fine mesh net so that they are not injured. Hold temporarily in a basin before putting them in main tank. 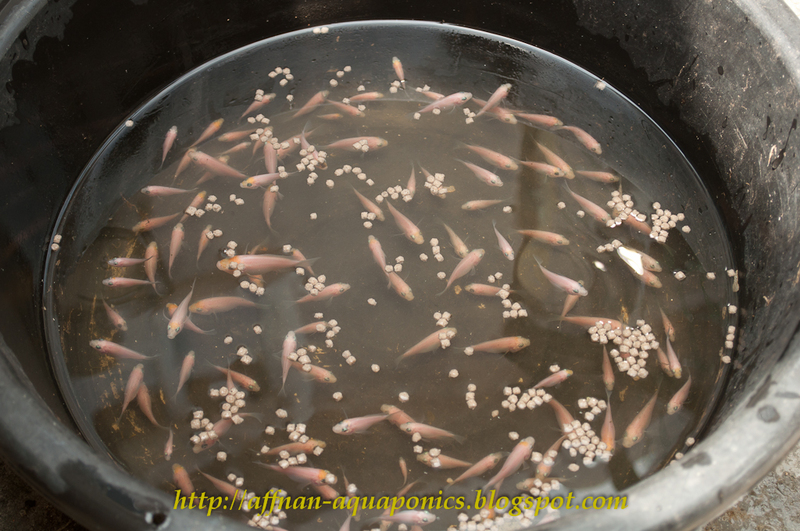 Those above fingerling is from : Tilapia - Breeding Part II. 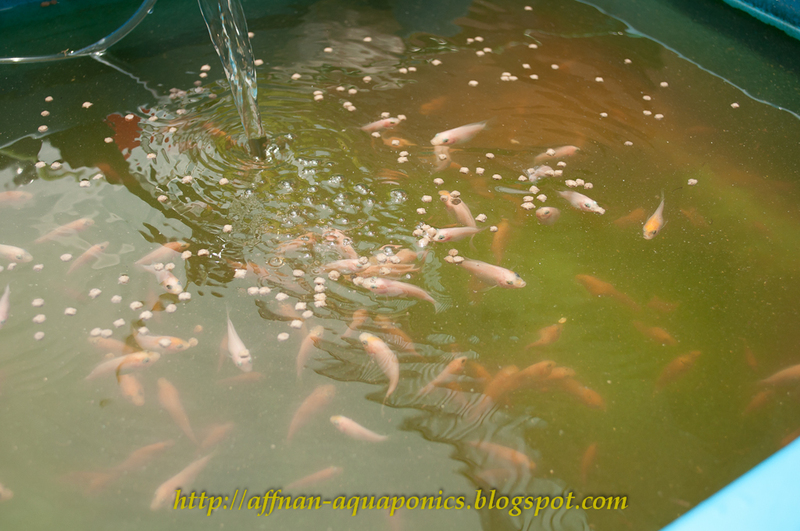 They should survive the main tank.. some earlier batch made it. There are no more Yellow Tail Catfish in the tank so they will be fine.. Tilapia.. don't eat young ones.. well at least that what I though..
That's mum .. its easy to tell.. once you see any fry around .. disturb the water a bit, they will head for safety.. and usually in mum's mouth.. Then carefully catch her.. and place in the nursery tank. Took me sometime to catch her, and just at the point of catching.. she spit out her young. The fry is easy.. in no time they will be in the nursery tank. One way to see which Tilapia is carrying fry or eggs is during feeding time... try feeding them slowly.. see which of those in the breeding tank don't eat.. do this few times. You will know .. that one is carrying eggs or fry.. then just monitor. Don't catch mum while they are carrying eggs unless you have eggs tumbler to take care of it. Its best just to let it be.. after all its more natural this way. BTW mum will retire in to the main tank along with her fry.. once big enough.. I need to catch another female to take her place. 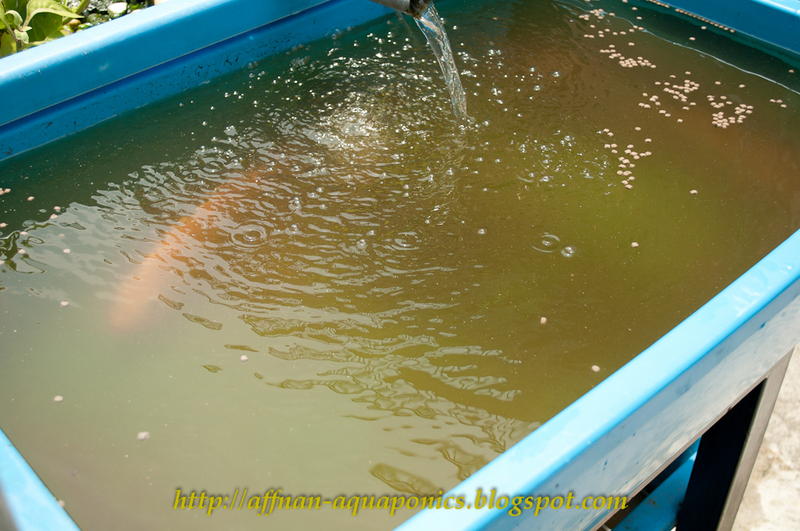 I have 3 females and 1 male in a breeding tank. 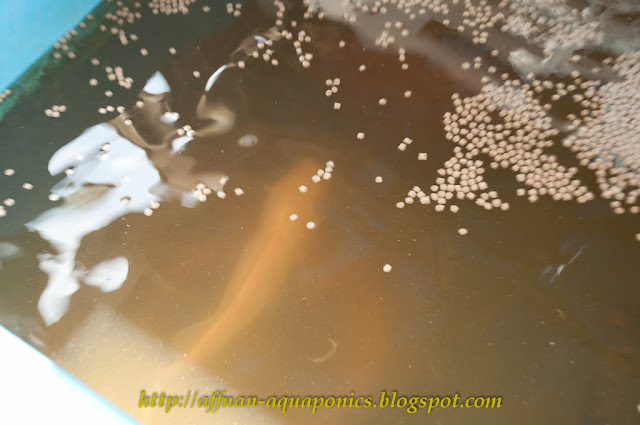 There is a red discharge all over the bottom of my tank. I am not sure what it is. Can you helf identify it for me?